Head'n Home Western and Cowboy Hats - Welcome to the home of the finest leather, leather and mesh, and all mesh hats made today. We also hand make beautiful exotic leather trimmed western hats that truly make a statement. We use only the best in leathers-100% American raised and tanned. If you are a photographer, painter, sculptor, or artisan who specializes in capturing the cowboys and the western ranching & farming lifestyle consider placing a listing here. 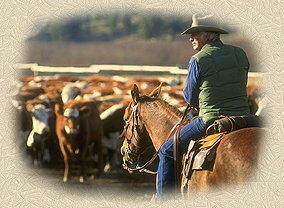 Cowboylife can introduce your talents to our audience of 50-60 thousand visitors. Each listing includes a 50 word description and a link to your web site.